The New Gatefold and Folio Silk Boxes are here! 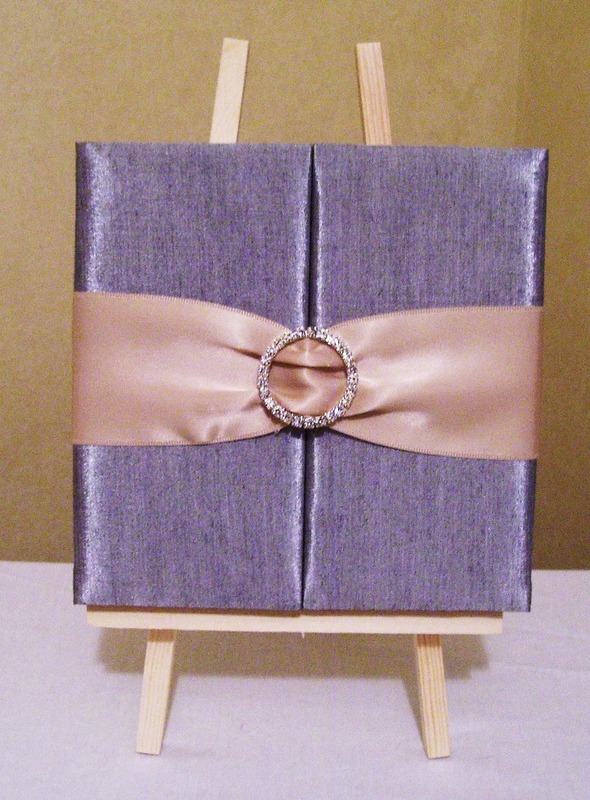 The House of Papier is excited to announce that we now offer “Gatefold” and “Folio”silk boxes for your invitation needs. Both styles come in a number of colors and can be adorned with ribbons and jewelled embellishments. The House of Papier does not sell individual items. Silk boxes are for invitation customers only. This entry was posted in Silk boxes and tagged Gatefold. Bookmark the permalink. 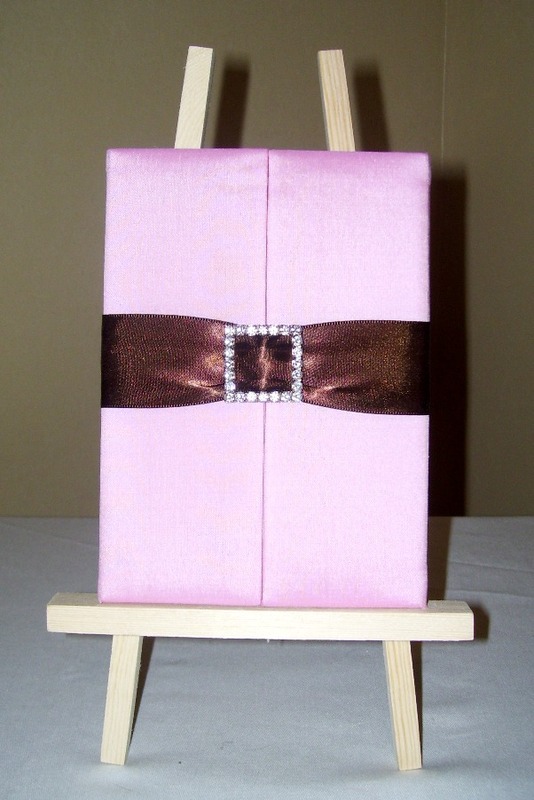 All invitations are customized based on the customers specifications (i.e color scheme, embellishments, theme, etc.). 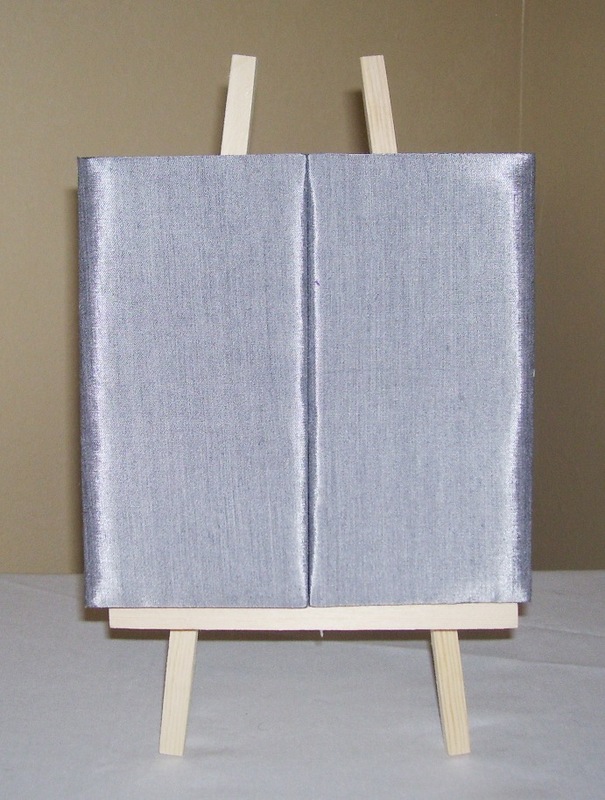 Samples start at $50.00 and may include an additional cost based on the type of embellishments you are interested in. If the sample is being shipped within the U.S. the shipping cost is $7.00. 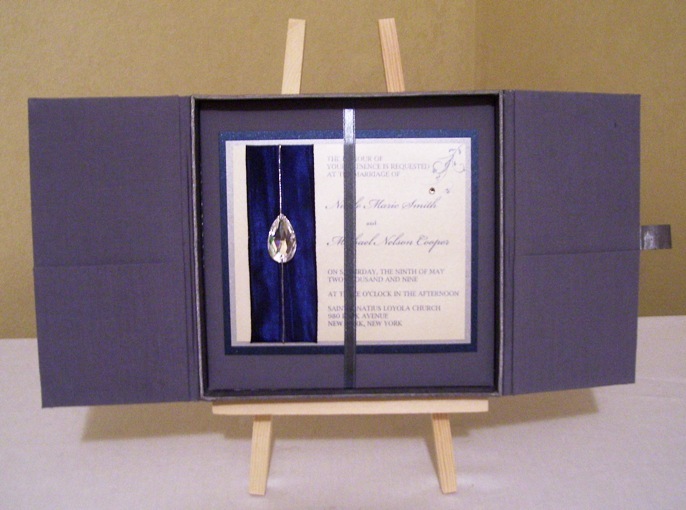 Once you are interested in placing an order, all silk box invitations start at $33.00 per set. Orders take 6 weeks to fill (or more based on how many orders we are working on at once).